So far this fall we have heard of many disturbing events. Now it is more important than ever to have support. Having a network of friends and family and your own support strategies can be a tremendous help. Have you ever shared a loss with someone and all you hear is how they have had a similar situation. I used to do this as I thought it was helping them see I could relate to their pain. I really try to avoid this now. I lost my Mom at 19, my Grandfather who raised me at 23 and my Dad at 27. When Dad died one of the things I remember most is what a co-worker said. She called to say I have both my parents and I can’t begin to imagine what you are going through. I want you to know I am thinking about you and want to help if I can. We don’t need to relate to someone’s loss to help, we need to be there for them. Do you have friends who will just listen when you need it? Do you have friends who lift you up and make you feel better about yourself when you are down. Will they also call you out (in a nice way) if you are not being true to yourself. Do you have friends who will show up when you need them? You also need to have your own self support strategies. I use yoga, meditation, walking or running in nature, my faith, reading inspirational books, journaling, turning off the news, getting away from social media for a while, listening to empowering songs and watching funny videos and movies. Every one has different things that support them in times of stress and always get professional help if needed. 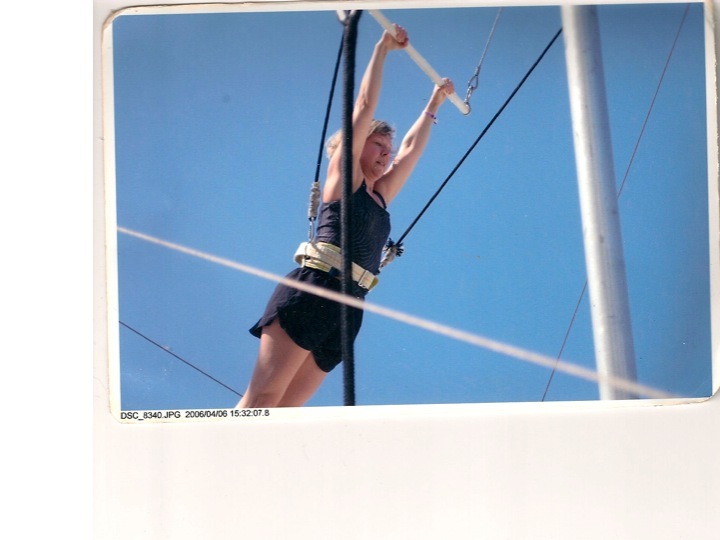 The picture is of me in my first effort to become a trapeze artist. 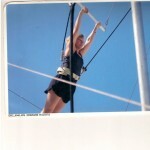 There was a safety net below me, I knew I would land there when I was done flying through the air. It can take time to develop your safety net make it large and strong.